Adidas confirms the release date for this Ultra Boost. 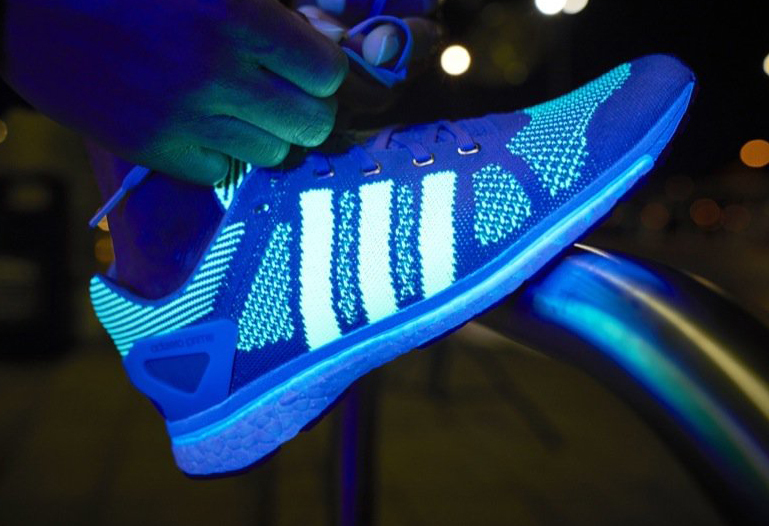 Adidas will roll out two more special edition Boost designs this week by dropping this duo of glow-in-the-dark styles. The adidas Ultra Boost and adidas AdiZero Prime Boost with the luminescent detailing both launch on Sep. 28. Adidas Running confirmed their arrival on Tuesday with the below tweet. Per the brand, the shoes will only be available in select markets, so don't expect this one to be a widespread release. That being said, it's possible a wider one will follow later in 2016.